Should the results be public after the conference or will it not be until the paper is published? I hope this doesn't take years. I doubt we'll have to wait years for this. It's probably a preprint that's already waiting to be published somewhere, or perhaps we'll see it soon at arXiv? In any case, if it's taking ages then we can always e-mail David Reich and nag him until he releases the details. As a diletante, I am overwhelmed by the references to genomes by code like P*. Is there some article decoding this stuff, that links the codes to specific groups and times? The star after the P (ie. P*) just means that I'm talking about a potential lineage of P that is very old and thus ancestral to all modern P, and as a result can't be classified within any of the downstream subclades of P.
So modern Europeans and Amerindians who carry R and Q can be said to belong to P-M45, but my assumption is that the Ust-Ishim genome belongs to an older clade of P that is above the M45 mutation. "...which I'm guessing will be published very soon." E-mail David Reich and ask him. He always replies. I emailed David Reich and he responded. "When will papers on the DNA of 45,000YBP Ust-Ishim genome and DNA of dozens of 3,000-9,000YBP individuals from Samara Russia be published?" "The Ust-Ishim paper is submitted to a journal and under review, while the other is still in preparation." This presentation is actually being held today, in fact in a couple of hours. Hopefully someone tweets a few details afterwards. The tweets are really lame. This is the best one so far, but it says nothing new. Tweets suggest it was just recap of Lazaridis plus a mention of some ANE in Samara corpses, which was already in the abstract. "Tweets suggest it was just recap of Lazaridis plus a mention of some ANE in Samara corpses, which was already in the abstract." It is very important that now three groups(it used to be just Laz, and alot of people doubted the theory) of entitled experts have come to the same conclusions on who the stone age ancestors of modern Europeans were, because it increases the chances that their theory is true. "This presentation is actually being held today, in fact in a couple of hours. Hopefully someone tweets a few details afterwards." When is the presentation for the Ust-Ishim genome? Did anyone notice these important statements on the tweeted white board? >"PCA of west Eurasians show two parallel clusters"
I think they mean ANE-WHG pushing populations mainly one direction and middle eastern ancestry pushing populations in an opposite direction. >"Two population turnovers in last 8,000 years of human history"
Maybe the first was the spread of near eastern farmers into Europe. >"2nd population turnover after the 1st farmers. Samara Valley Porject-RUSSIAN STEPPE possible a potential source source." That is huge news, because obviously they are referring to the spread of Indo Europeans. It is a very simple idea though and people have been suggesting this for years. Hopefully David Reich and his crew did not biasedly interpret the data to fit popular theories. Also, did anyone notice DHG, EEF, and ANE on a PCA in the tweet? DHG may stand for the Samara hunter gatherers. Maybe EEF is an early Samara farmer, but it's probably Stuttgart. I will be surprised if the first farmers in Samara, were the genetically same as the LBK and Cardiel farmers. Ust-Ishim was presented already, autosomally it seems that he was clearly distant from Africans and close to common root of Eurasians, but leans to the East Asian side. If there was anything about haplogroups I didn't catch it. Which could be because of the basal Eurasian effect on modern west Eurasians. They're parallel to each other because Europeans have WHG while Near Easterners lack it, but both have ANE that increases from west to east. "Model of history consistent with data". Here's the sketch summary of the Ust-Ishim talk. No mention of Y-DNA, but the mtDNA is R.
I agree with you about the Basal Eurasian. Ust-Ishim probably lacks it, so he appears more East Eurasian relative to modern West Eurasians. Argh. Such a tease. "Admixture?" A lot or a little? I'd expect something more noteworthy, like either much more ANE than modern Europeans or much less. Or admixture with ENA that is lacking in a modern Europeans (would imply steppes were already Proto-Turkic and that they mostly moved East and had few links with most Europeans). Looking fwd to full details. The model being considered by David Reich is that the Samara groups had a profound genetic impact on most present-day Europeans. Also, the abstract implies that there was little or no ENA in the Samara Valley during the studied period from the Mesolithic to the Bronze Age. But it was present in northwestern Russia and Fennoscandia at the time, as per the reference to the Der Sarkissian paper from last year, and I'm guessing this might have something to do with the proto-Uralics...or not. In any case, the Turks probably pushed west from the Altai region well after the early Indo-European dispersals. What I was hoping to learn from the tweets was whether Reich was able to find clear signals of the prehistoric Samara Valley groups among modern South Asians. This would make sense, considering that the most plausible homeland for Indo-Iranian languages is near the middle Volga, and R1a-Z93, which probably split off from R1a-Z645 somewhere in Eastern Europe, is today the main Indo-Iranian paternal marker. This is a very interesting/exciting possibility, but don't the actual levels of ANE admixture in South Central Asia call this notion into question? The current evidence indicates that South Central Asians like the Kalash, Pashtuns, Burusho, and similar groups throughout northwestern Pakistan/eastern Afghanistan, have very substantial amounts of admixture from MA1's clade. In fact, one can successfully model the HGDP Pashtun samples as mixtures between Chechens/Lezgians and MA1. The signal is fairly strong, and the fit is good (I'm referring to formal tests of admixture). Since the Chechens/Lezgians are close to being almost 30% ANE, it is a good bet that the HGDP Pashtun samples are around 35%-40% ANE. TreeMix suggests 38% ANE, and f4 ratio estimation suggests 36% ANE. Whatever the precise number (probably impossible to ascertain), they are definitely somewhere in between 35%-40% (but it can't be less than 30%). That is some extremely substantial ANE admixture, not too far off from Native American levels. Taking all of this at face value, those people from the Copper Age Russian steppe must have been predominantly ANE, which doesn't feel plausible. Whether ANE entered South Asia primarily via movements from the steppe at that time, or whether it represents something much older, is all contingent on how much ANE admixture those people from the Russian steppe possessed. For what it's worth, R1a isn't the only paternal lineage in South Asia that is probably of ANE origin. South Asia has a very prominent position when it comes to Y-DNA R's major divisions, not to mention the occasional Y-DNA Q. Although my knowledge concerning haplogroups is fairly weak, I think South Asia also harbors very deeply rooted mtDNA U lineages. In fact, I think U2 is most common in South Asia, rather than in Europe or West Asia. Tentatively, I would suggest that South Asia has had ANE admixture long before the introduction of Indo-Iranian languages. Perhaps ANE goes back to the Upper Paleolithic in South Asia? Nevertheless, I do think that the levels of R1a-Z93 among Pashtuns (50%-60%, depending on the paper) and some of their neighbors (not to mention Brahmins throughout India) indicate a much more recent contribution from the steppe. MA-1 lacks Basal Eurasian and in the Raghavan paper he's still in the West Eurasian Treemix clade. In PCA's or f3 stats he's closer to Sardinians than to She. Ust-Ishim to me appears different, but we'll see. So, does Ust-Ishim pre-date the West/East Eurasian split? I've heard similar about the Tianyuan man. Yes, perhaps Central Asians carried lots of ANE-related ancestry prior to the Indo-European dispersals to Asia from the Samara region, but it was these Indo-European dispersals that caused ANE and also EEF to be pushed deep into South Asia during the Iron Age? Indeed, we know that there was ANE-related ancestry in Scandinavia before the Indo-Europeans even existed, so why not in Central Asia, or even the Hindu Kush? If so, then it's important for Reich et al. to sequence some Y-chromosomes from the Samara Valley, otherwise it might be difficult to establish that there really was a migration from far Eastern Europe to South Asia, as opposed to from some other part of Eurasia where ANE was also present. That's an excellent point, Y-DNA data from the Samara region could pretty much establish the direction of gene flow. I hope Reich et al. attempt this, the data would be extremely valuable. Have people completely forgotten that the Samara hunter gatherers were probably mainly WHG(they were not 100% ANE)?!!!!!!!!!!!!!!!!!!!!!!!!!!!!!!!! Also, there is no law that says WHG ancestry can only exist in Europe, it certainly also exists(but very weak) in west, central, and south Asia. How did you work out that the hunter-gatherers from around Samara were mainly WHG? Swedish hunter-gatherers were 15-19% ANE. That's 15-19% more ANE than hunter-gatherers from Luxembourg. So let's see now, Luxembourg is about 1000 km from Sweden, and Sweden is about 3000 km from the Samara Valley (as the crow flies that is, not by land). So judging by some very rough calculations, the Samara hunter-gatherers might have been around 50% ANE or even more. I reckon the reason we can use distance to calculate admixture in this case is because these are hunter-gatherers, who didn't migrate very often as large populations, but moved around in small groups. So we can be fairly sure that any changes in ancestral components across hunter-gatherer country were very gradual due to isolation-by-distance, especially since all of Northern Europe from the Atlantic to the Urals is basically a flat plain. But my main point here is that we just don't know, so we'll have to wait for the paper, although something like 60/40 ANE/WHG for the Samara Valley hunter-gatherers isn't impossible as far as I can see right now, especially since they were living right next door to the western Siberian steppe. Barry might be onto something though, we do not know if anything that was even 50% ANE survived anywhere in the Mesolithic - almost 20k years after MA-1 lived. Further we don't know if ANE ancestry during the Mesolithic had just an East-West cline or also a North-South cline - Samara is in so many ways more accessible from Central Asia and even Middle East than Scandinavia. It would be no surprise to me at all if those mesolithic Northwest Russian remains turn out equally or more ANE than the Samara remains, regardless of having some East Eurasian mtDNA. Just sent an email to David Reich with these questions. I'll post his response. "1. Were the Samara hunter gatherers a simple WHG-ANE mix? What percentage of ANE ancestry did you and your team predict they had. 2.Were any of the hunter gatherer mtDNA samples not U2, U4, U5, U8, or just plain U? 3.Were the U5's all U5a(U5a1?) types, because that is the case for Swedish hunter gatherers(predicted to have about 15% ANE ancestry), Russian hunter gatherers, Copper age east Europeans including early Indo Europeans, Bronze age and Iron age Indo Iranians from Asia, and west Eurasian-east Asian admixed Mesolithic-bronze age Siberians. 4.Were the Samara hunter gatherers more related to Swedish hunter gatherers than to Loschbour and La Brana-1? Also, were they more related to Loschbour than to La Brana-1? 5. Did the Samara farmers have the same west Asian ancestors as Stuttgart, Otzi, and the Swedish Funnel beaker farmers did? 6. Did the Samara farmers have EEF-specific subclades of west Asian haplogroups, such as T(e.g. T2b), J(e.g. J1c),and H(e.g. H1). 7. Does it seem that the copper age Samara people contributed ancestry to all modern Indo European speakers(and Finno-Urgics? ), and are responsible for raising WHG(not just ANE) ancestry in Europe. I don't know enough about this subject to think of better questions." @barack Obama why in the world did you not ask hima bout y-dna UGH. "@barack Obama why in the world did you not ask hima bout y-dna UGH." They would have mentioned in the abstract that they got Y DNA results. I guess I should have asked just in case. If they did not get Y DNA results, after the genomes are published geneticker can probably get results for alot of them(like he did for many of the PWC hunter gatherers, TRB farmers, and AG2). I doubt David Reich will answer many of the questions, because there is probably some type of rule against it. Feel free to email him yourself. I'm wondering if P would've back migrated from SE Asia, as of that time. I am wondering if he may be from the F or C branch. It's very interesting that East and West Eurasians don't seem to be split as of this time. I think the ancient Samara DNA paper probably won't be published for a long time based on David Reich's response to my email. "Our results on the Samara samples are so preliminary that I don’t feel I want to say any more about them, but I will try to prepare a final analysis and manuscript as quickly as is practical." Okay, I actually sent him an e-mail as well, just pointing out that the age and phylogeography of R1a seems to match his conclusions about the ancient DNA from the Samara Valley. But I think we should stop pestering the poor man now, and let him finish the paper. Good morning, I am wondering if you can help me with a question. I am curious about what exactly the term "Orcadian" implies about ancestry. If this is not the proper forum for this question, please redirect me! Thanks for your time and for this outstanding service. Thank you, David. Very helpful. Is Don's map a reliable source to learn about ancient cultures? I found it interesting article from early 2013 which said the Afontova Gora and Ma'lta sites are related, and now we know Don was correct. Google spreadsheet of tables S1-S7 from Brandt. 2013’s supplementary materials. Tables S1-S7 have HVR1+2 and coding region mutations for ancient mtDNA samples ranging from the Upper Palaeolithic-bronze age. They discovered the haplogroups of many samples which have not been shown in other published studies and as far as I know unknown by the world. There are many fascinating new results, including plenty of new samples from the Pitter Ware culture(Not all U5 is U5a). I was very excited when I compared the mutations of the three around 30,000 year old samples from Dolni Vestonice Czech Republic and found the reported U8 is actually pre-U8c(2/4 mutations) and the reported U's are actually U5*s.
It is very useful having the mutations at hand because a sample will be reported as for example U5b1, but the report can't mention what U5b1 subclades the sample is negative for. This is off-topic here, but its the newest thread. Unfortunately there is no information about the genetics of these two, in the article. That's an interesting post Fanty, it's hard to find any info online about skeletal features of ancient people. That 14,000 year old middle aged man's skull from Germany looks nearly identical to la Brana-1's skull. They have the same pointy check bones and jaws, even their forehead and eye brow bones are similar. The German guy was around when areas of Europe that far north were first being colonized. His relatives spread all over the place including Scandinavia, Britain, central Europe, and even eastern parts of the Baltic sea. I bet he belonged to Y DNA I2-M438 and mtDNA U5b, which are probably parental signatures of the southwest European refugium. The only mtDNA samples from central Europe from this time period are U5b1*-T16192C! (full sequence, and negative for all basal subclades and with extra mutation T16192C! ), and U*(not full sequence, negative for U1, U5, U6, U2, U3, U4, U9a, U7, U8a1a, U8b1, K, and U8c). Davidski, which group(s) are you referring to in the Eurogene model when you mention the Siberians? The Siberian components in these tests peak in groups like the Evens and Yakuts, so that's the type of ancestry they represent if clearly above noise level (around 1%). Some what off topic, Davidski, not sure if you'll be interested in this, but I was looking at that guy Genetiker's (yes, he's a kook, still) analyses of the MA-1 and La Brana genomes using Dienekes Globe K10 and K13. What his analyses apparently found is that La Brana K13 was represented as 72.7% Atlantic Baltic, 16.2% Mediterranean, 3.74% West African, 3.47% East Asian, 2.13% South Asian, 1.7% Australasian. And that seems strange, because this is a pretty far flung combination. What I did with this was to add all the FST distances up to determine the distance that this should show La Brana from the other world components. So, like, La Brana's distance from Mediterranean is 72.7% Atlantic Baltic's distance plus 3.74% West African's distance, etc. until you've accounted for all the components. What this ended upw with was that La Brana remains remarkably similar in its distances to the world components as the North European component and also the West Asian component, as all the non-European stuff cancels into a generally West Eurasian-like position on the main world axes distinguishing world populations. So, why doesn't the analysis calculator simply find that it is North European? I think there could be a couple of reasons. So modelling it with North European wouldn't work, as it would imply a closer relationship between North European (and North European populations) and La Brana than actually exists. Essentially this could imply there were a number of divergent WHG / Northwest Eurasian populations in West Eurasia, and North European (and perhaps "West Asian") is the one (or ones) which made it big. This would make sense in light of the fact that La Brana tends to look normal on world PCA, even to fairly high dimensions, then an outlier when we put it into European only PCA. Yet I'm not too sure about this method for recreating distances between very closely related populations. 2) Another tack is that when you repeat the exercise for La Brana above with MA-1, then add about 85% of La Brana recreated distances to 15% MA-1's recreated distances, you actually get a better correlation with the North European components distances than the recreated La Brana distances have. So this implies that the Dienekes ADMIXTURE calculators are recruiting other components than North European to model WHG beyond what can be approximated by the North European component, where WHG maxes out at around 85% and there is a floor of around 15% ANE. Put another way, all the non-Mediterranean and non-North European fraction in the K13 calculator more or less cancels out to a large degree to a generalised Eurasian tilt away from MA-1. Might all be totally obvious (and limited), and perhaps drawing a lot from little data, but I found it interesting to do. Thanks for posting that Matt the information is very useful, and the FST distances are constant with Laz and Sko 2014. I think "ANE" is much more complex, and there could be multiple types of shared ancestry between MA1 and modern populations that falls under ANE. MA1 obviously was not west Eurasian, just more related to west Eurasians than to anyone else. Matt, do you think it's possible that west Asian components are have some WHG-like admixture? I can't open that link at the moment, but if you're talking about Semargl, then yeah, I know him and wrote a blog entry based on his work a while ago. Matt, I think you're on the right track with the idea that calculators model in other components to make up for discrepancies between components created by modern populations and ancient components. Other problems with admixture calculators are low SNP overlap and calculator effect which skews results further. We see mixed results in different admixture calculators for La Braña (Eurogenes K13: N-Atlantic 37.41 Baltic 44.13 West Med 0.06 SE-Asian 10.27 Siberian 2.47 Amerindian 0.41 Oceanian 5.25 - no SSA) and even in more sophisticated tools - Lazaridis et al. got mixed results in trying to find Basal Eurasian in La Braña. BarryO, don't forget that there are some quite large differences between ANE and West Eurasians. MA-1 is more similar to Eskimos (who according to the paper we all know by now are less than 25% ANE, rest being some kind of East Eurasian) than to any Western Eurasians. That's with shared drift, in IBS the difference is even more pronounced. It might be the result of sampling bias caused by the fact that he only uses commercial databases. Or maybe he's just referring to certain R1a subclades in those examples? @ Shaikorth, that's true about the differences between the calculators and the effects of low SNP count. With the Eurogenes results, it seems a little difficult to compare but I get the impression that the Eurogenes calculator folds more of what is “Southern” and “Mediterranean” in Dienekes Globe calculator into into its North European components, as part of modelling components which explain recent European population movements, sharing and stable blends better (which is the point of the project after all). If the Eurogenes North European components are slightly more Basal Eurasian / African shifted than Dienekes North European, then that would effect the results predictably (with La Brana being ENA shifted compared to Eurogene's components where it is not to Dienekes North European component). Basically the best (but still very imperfect) I guess you could do would need to add up all the results for both calculators, do PCA with similar reference populations shared between the calculators, and then see where La Brana sits. In both calculators I get the impression La Brana sits at around about the same place relative to modern day North European, African and Asian (and world) populations. That's very back of envelope from me though. @ BO, interesting question re: West Asian. I was thinking West Asian might just be a West Asian version of a clade featuring La Brana, the WHG ancestors of EEF and MA-1 and its descendents (children or nephews and nieces). The West Asian component in Dienekes analyses in Europe is strange in that it seems to have a similar distribution across Europe to ANE. But on the other hand, West Asian has no special connection to Amerindian components like ANE should have. There's actually a higher distance to Amerindian components for West Asian compared to the components that peak in Northeast Europe. So it seems hard to me for it to have more ANE. So maybe West Asian shows up in Europe as an approximation of ANE – it shows up in the global calculators because it is genuinely frequent in West / South Asia, then shows up in Europe only as an approximation that Europeans have a small proportion of ancestry that is La Brana / Losch like, but a fairly distant relative. This is just an idea though and is quite sketchy. @Matt, maybe we are lumping too many things together due to lack of data. What if the ANE was brought to Europe not as "pure ANE" but with some misc mixture from C Asia and Caucasus/West Asia? Like Proto-Jiroft + Proto-Harappan + Proto-Transural HG from Frachetti's inner Asian Mountain Corridor? As far as Basal Eurasian, if it split early as an "orphaned" isolated branch of OOA near pop centers near Africa (Sudan? ), it might have been involved more than one phased expansion that eventually reached Europe. Maybe selectively receiving admixture from Europe/Asia sometimes. Like, what if we imagine Basal Eurasian as a trans-national isolate that split early but kept it's distinctiveness? (If it had beneficial but fragile behavioral specialization and social niche, this is exactly what might happen). You'd get lots of pops receiving Basal admixture over time (in each expansion phase, for instance spreading out with new technology), with a gradually evolving/changing Basal pop moving around (maybe finding different "home bases") and re-consolidating itself during contradiction phases (like climate change, etc). So maybe by the time of EEF, there was no "pure Basal" anymore, because Basal pops has gradually evolved into the EEF. Maybe maintaining high ratios of alleles associated with beneficial adaptations and with substantially less archaic admixture than any other populations. ANE on the other hand would be another pole of specialization, with more physical robustness and more archaic admixture. Adapted for cold continental climate, big game hunting and later cows/horses (similar skill set and bravery/patience for observing and working with animals), etc. This is just a guess, but I tentatively picture La Brana as part of a third maritime/coastal adapted trend, maybe eventually acting as a go-between for Basal and ANE even. Post LGM population movements from Central Asia didn't have much of an impact on Europe. There's certainly nothing in Europe from the Central Asian corridor. You can see that clearly by looking at the frequencies of Asian specific subclades of R1a. Other haplogroups like C3 and N1b tell the same story. 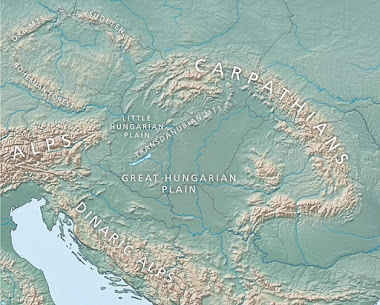 The early Indo-European groups from the middle Volga area, like the Samara Valley, were a mixture of Eastern European hunter-gatherers and Neolithic farmers from the Balkans. In other words they were ANE/WHG/EEF, probably also with lots of European-specific R1a. That's who invaded Europe during the Copper Age, and the main question now is what were their ratios of ANE/WHG/EEF, because these will help us calculate the levels of population replacement across Europe, especially Northern Europe, during the Copper and Bronze Ages. Makes sense. Then stuff from the IAMC probably ended up in West Asia, not reaching much further west than the Caucasus and Volga, but instead and pushing south into the Syro-Anatolian steppe. We do see Asian R1a (Tocharian or Proto-Iranian?) in Middle East related groups. Tricky thing is IAMC might have been less East Asian influenced in that stage. We really need ancient DNA to know. But the upcoming Reich paper should answer a lot of these questions. A big question is how far eastward the Euro classes of R1a (like Z280 if memory serves) ever got. Were some of those involved around the Caspian or Turkmenistan? Euro classes of non-Z93 R1a even show up in Middle East. Were they really slaves of Muslims, or from other earlier source, like Turkmenistan during BMAC (Gutians=Goth or even small Mideastern tribes like distant kin of ancient Judah?). It's possible the Volga samples will give us some indirect clues. Strange, but some of the autosomal findings in recent years have been IMO quite surprising and pointing to some unsolved questions here. Here's a comparison of three ancient genomes using PCA: StoraFörvar11 from Mesolithic Gotland, La Brana-1 from Mesolithic Spain and MA-1 from Upper Paleolithic Siberia. The StoraFörvar11 genome is from the last Skoglund et al. paper. I'm putting together a blog post about the samples from that study, but it might take me a week or so to get it out. How many overlapping SNP's you managed to get with La Braña and StoraFörvar? I haven't checked yet how many SNPs they share. I ran two separate PCA with the same reference samples and then put both of the ancient genomes on one plot. The two PCA looked almost exactly the same, except obviously with La Brana shifted to the west and StoraForvar to the east, so it worked out great. I can't wait till the Laz genomes are released. Eurogenes K15 results for StoraFörvar11. I ran two separate PCA with the same reference samples and then put both of the ancient genomes on one plot. David, will you also run PCAs with the ancient samples and the modern populations together? ADMIXTURE runs of them together would be great too.